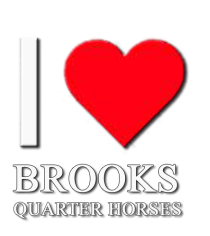 Directions to Brooks Quarter Horse To RanchPlease note: Some online maps and GPS mapping programs do not provide the easiest route to our ranch. They may recommend Willms Rd. or Rushing Hill Rd. off of Hwy. 108/120. Please do not use these roads. Use the Green Springs Rd. access as detailed below, by far the easiest way to get here. Call us if you have any questions. The Brooks Ranch is just 60 miles west of Yosemite National Park. After reaching Oakdale, CA, take Hwy. 108/120 East for 20 miles to Green Springs Rd. Green Springs Rd. is reached immediately after the 4 lane highway goes back down to 2 lanes. Make a right on Green Springs Rd. and travel 1 mile to Rock River Rd. Make a right on Rock River Rd., and we’re 4 miles down, the only ranch on the right side. Look for the big indoor arena. See you here! Take J59 North off of Hwy. 99 out of Merced. About 50 miles north, J59 reaches railroad tracks just before reaching Hwy. 108/120. At the railroad tracks, make a left on Green Springs Rd. After 1 mile, make a left on Rock River Rd. We’re 4 miles down Rock River Rd., the only ranch on the right side. Look for the big indoor arena. We look forward to seeing you here! Approximately 25 minutes East of Oakdale, CA - cowboy capital of the U.S.A.